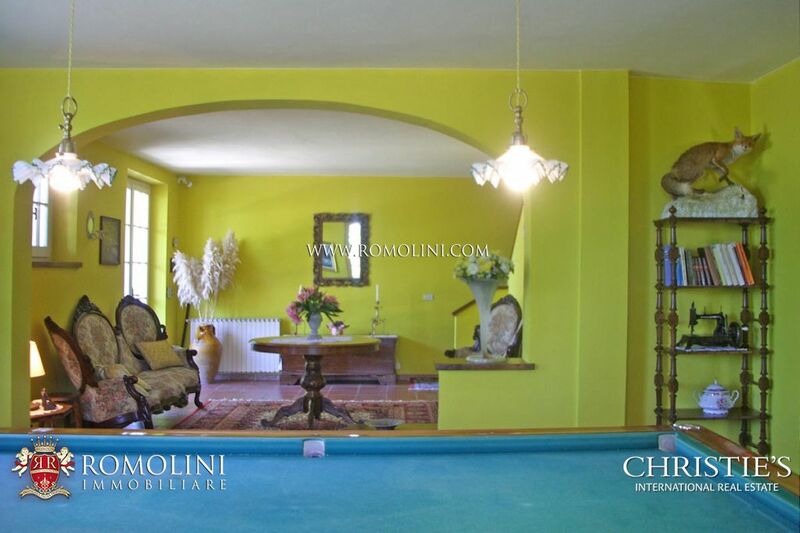 POOL: Yes, of 84 square metres. 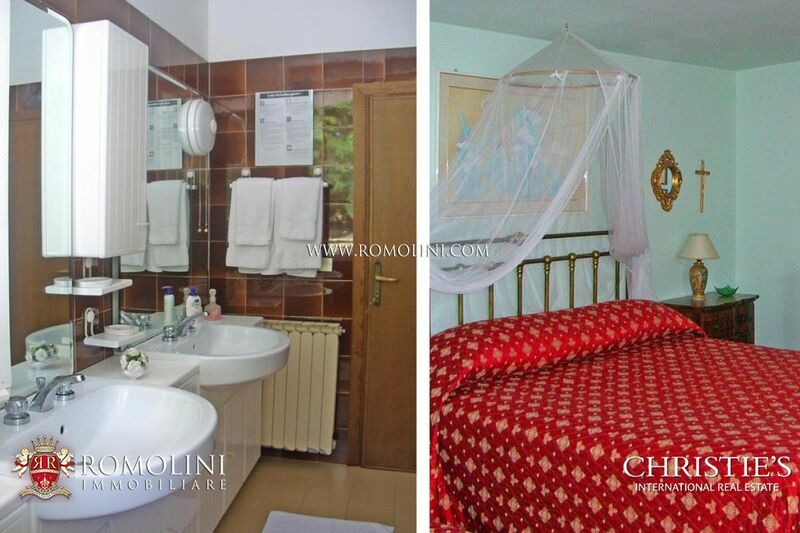 WATER: Private well with drinking water. 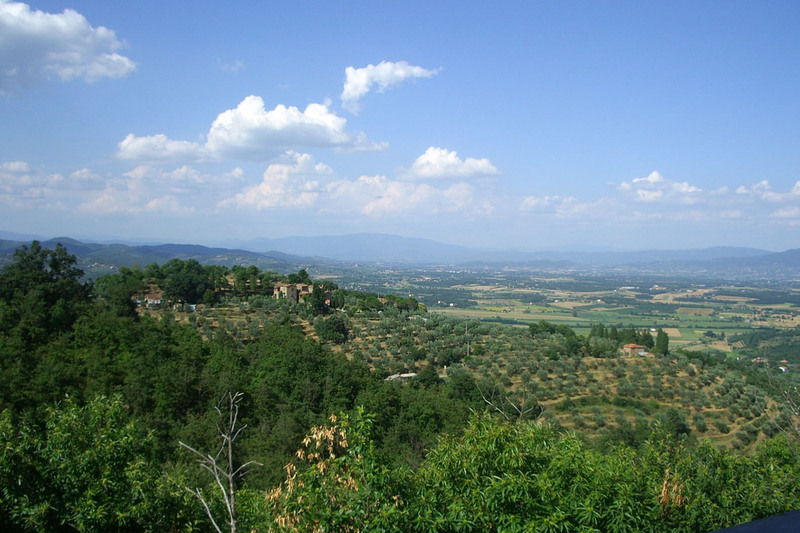 GAS: Gas oil + solar panels for hot water. 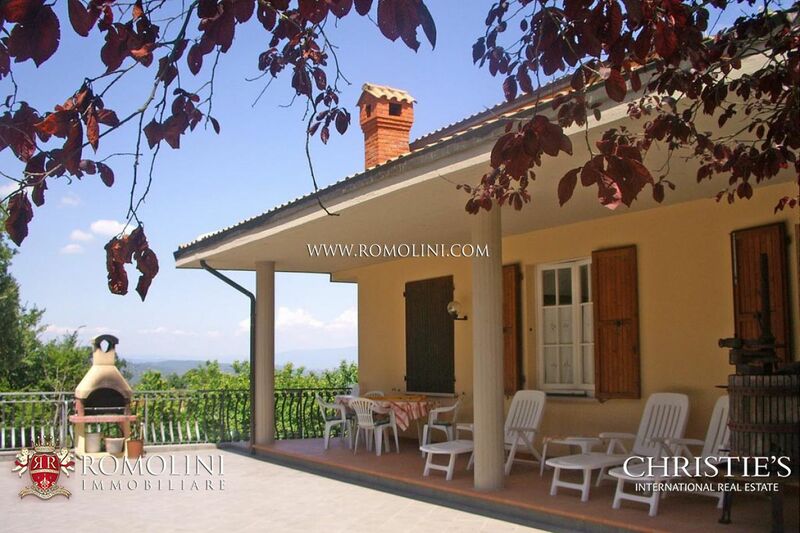 FEATURES: Fireplace, panoramic terrace, porch. 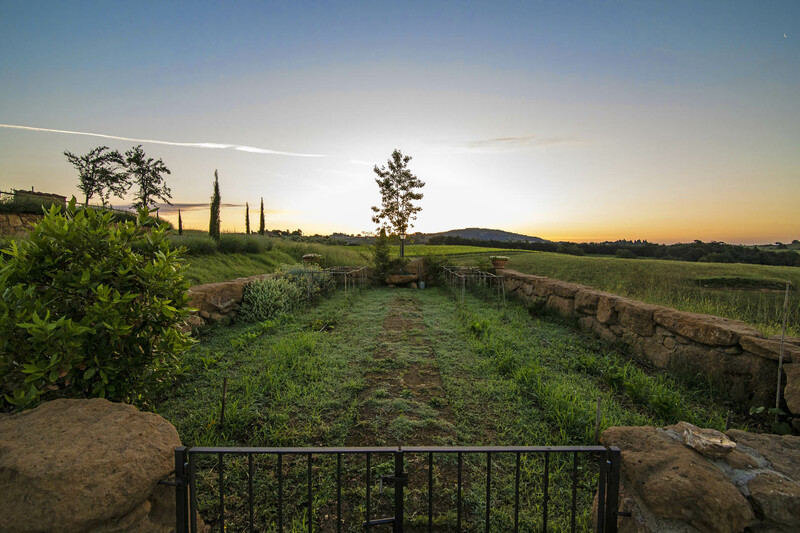 Automatic gate. 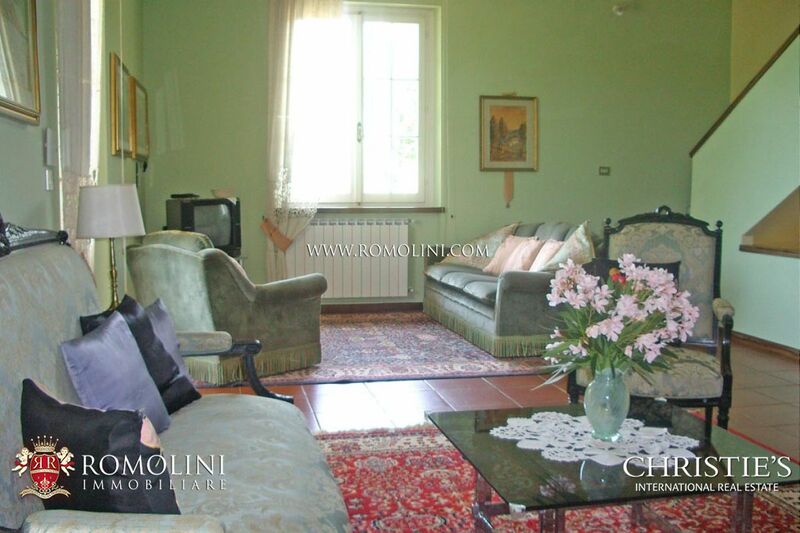 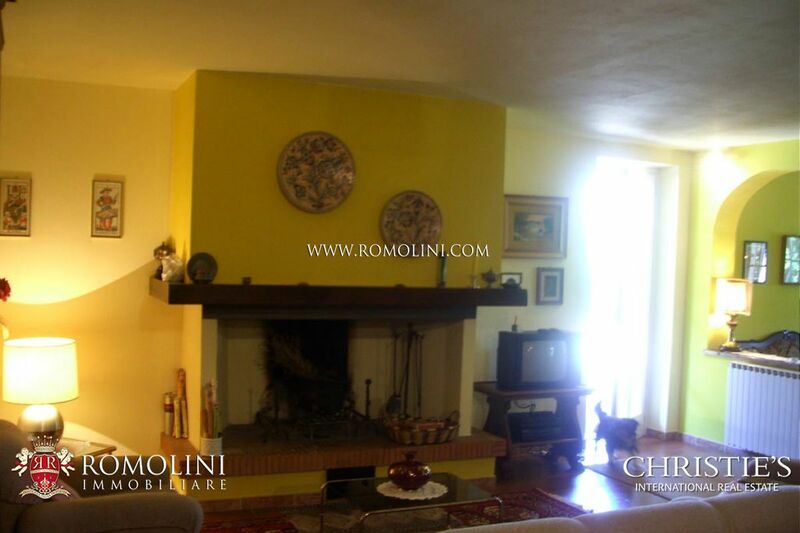 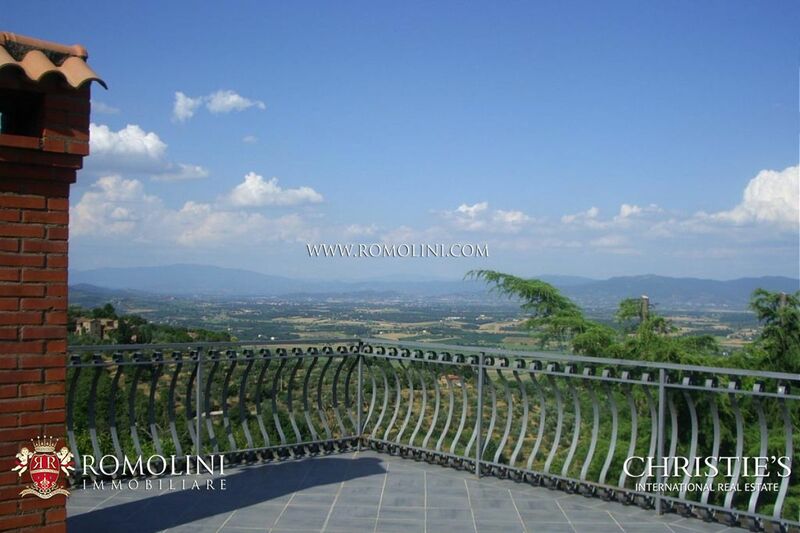 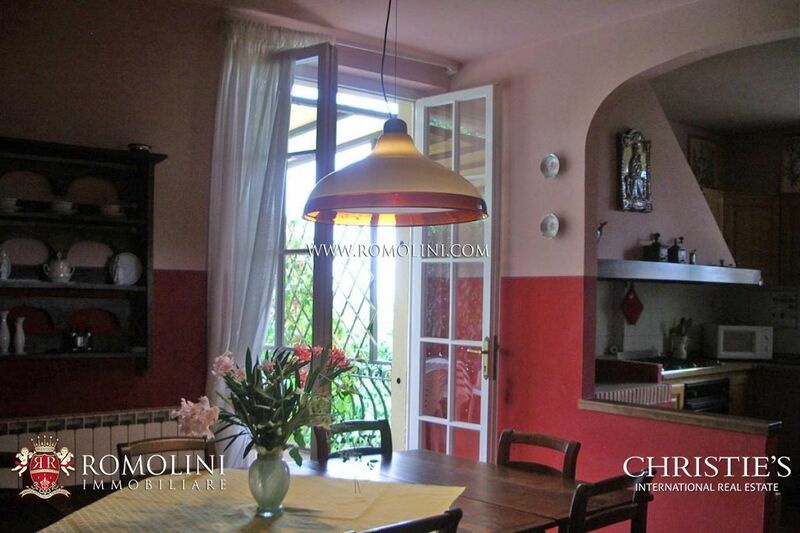 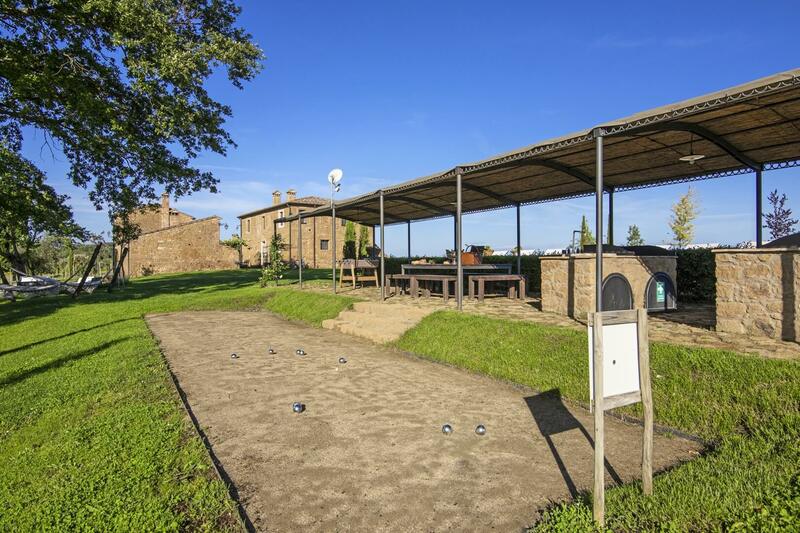 Nestled in the hills between Arezzo and Siena, near the Castle of Gargonza, close to the Renaissance town of Monte San Savino, this home is in a spacious and comfortable position with panoramic views over the surrounding countryside. 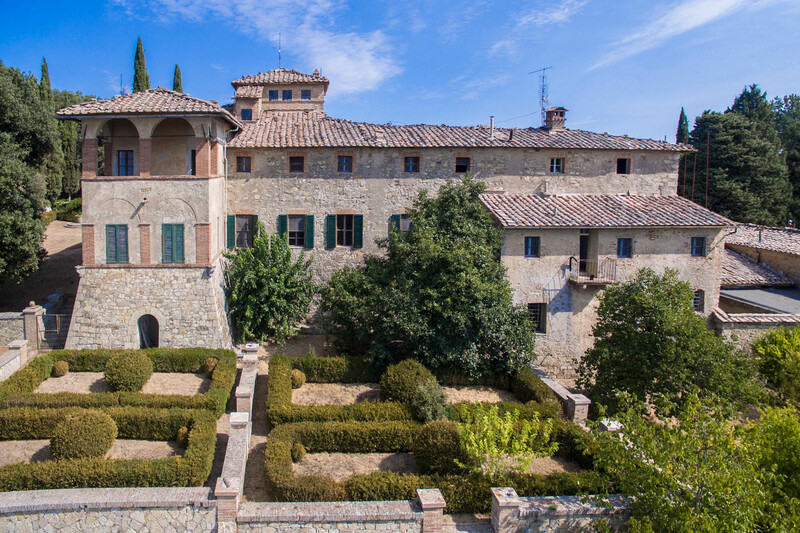 From here you can reach easily Arezzo (25km), Cortona (35km), Siena (40 km), Lake Trasimeno (45 km), Perugia and Florence (both 80 km). 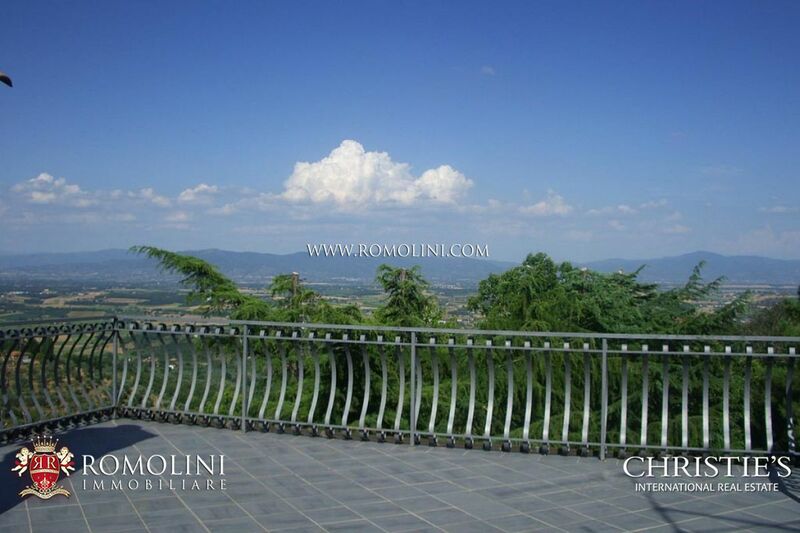 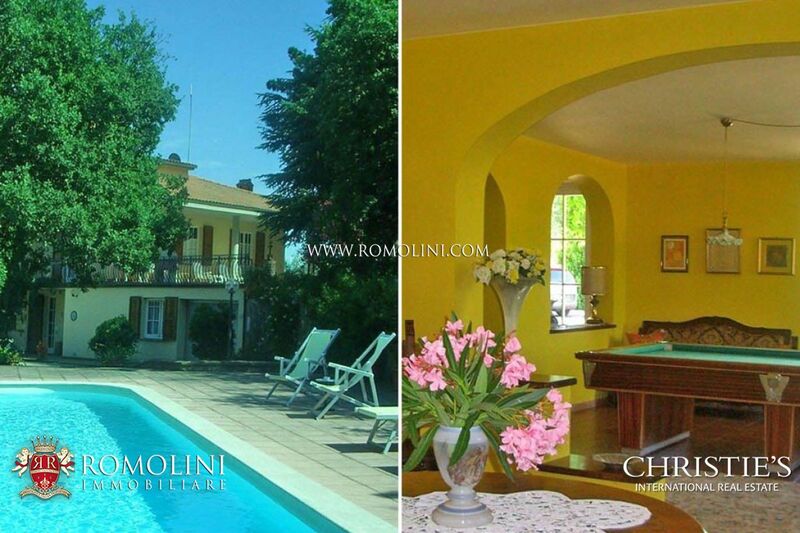 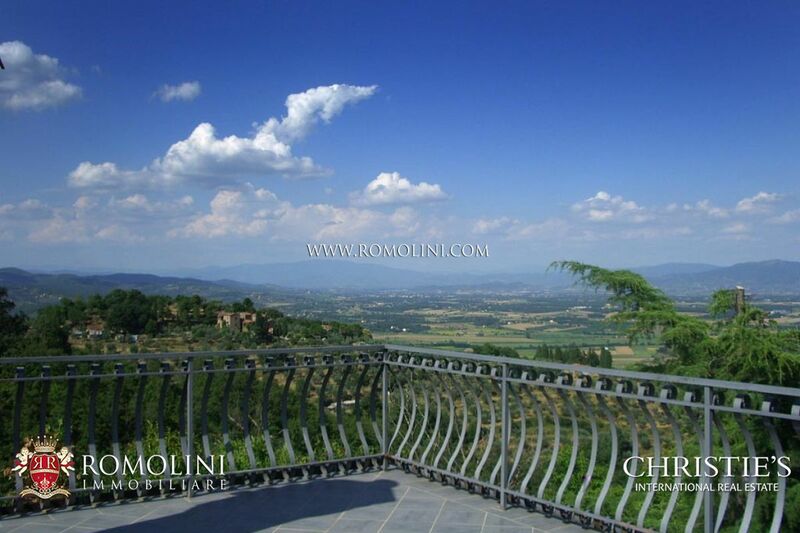 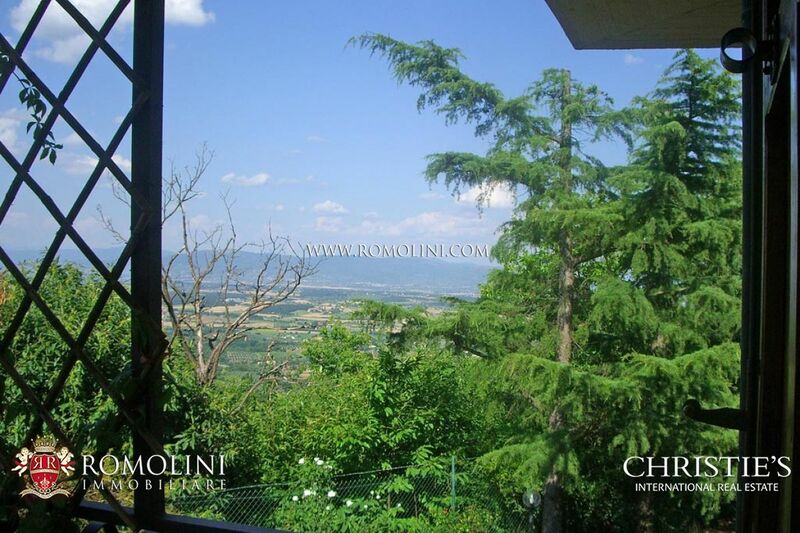 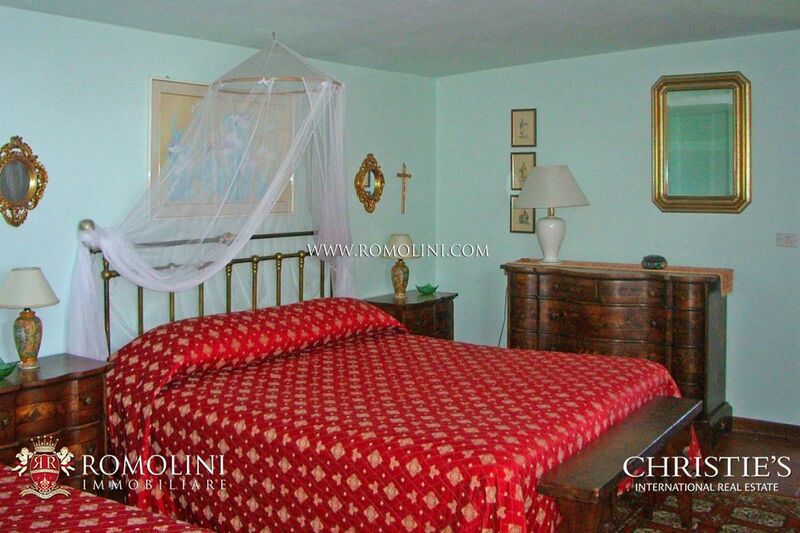 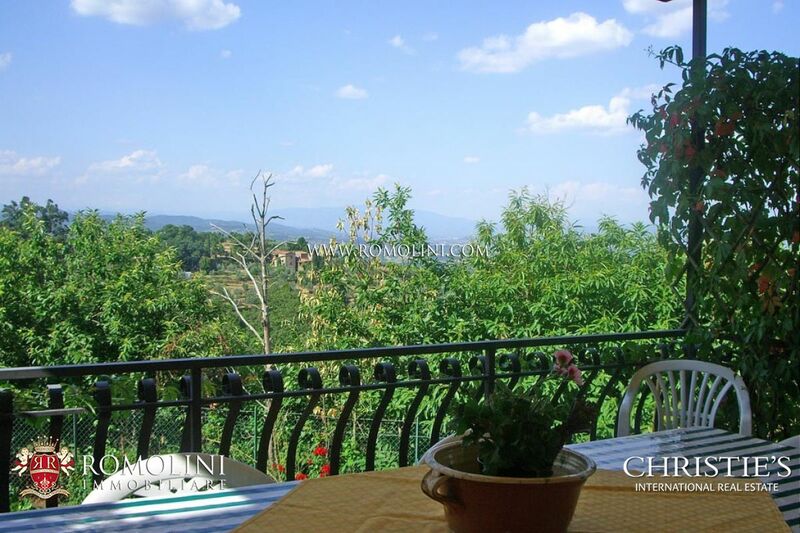 The house overlooks the surrounding hills from the Tuscan Valdichiana to Umbria. 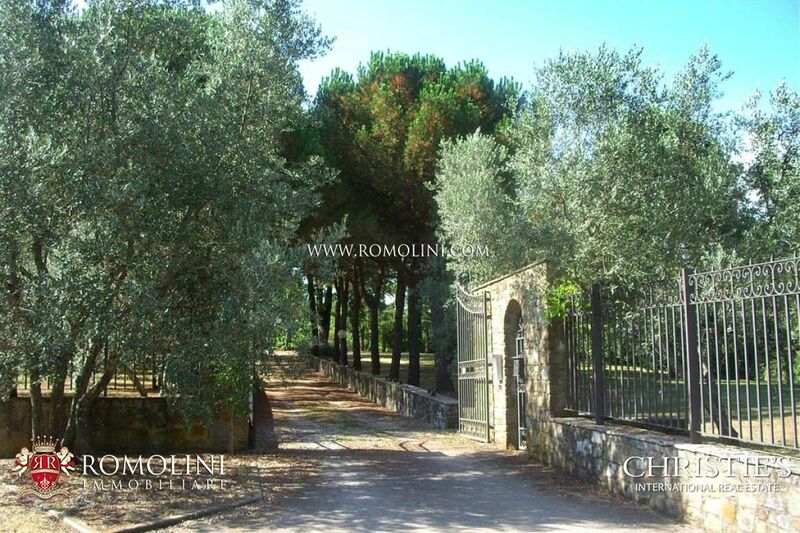 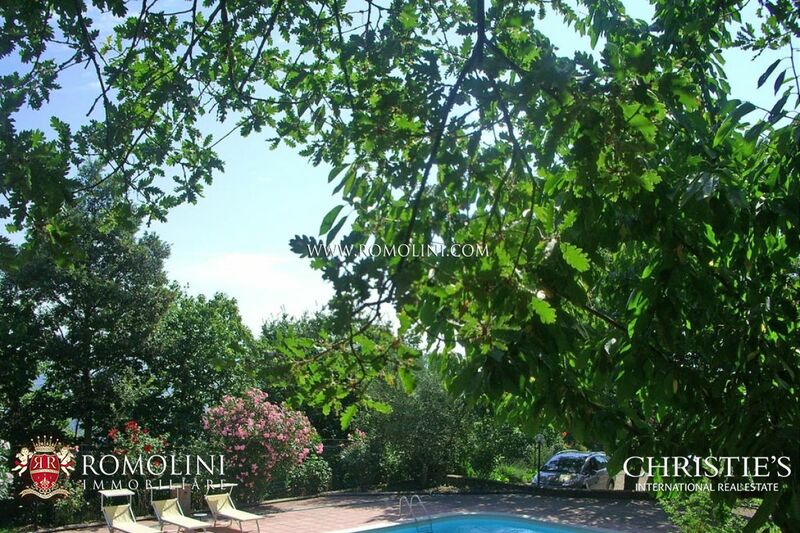 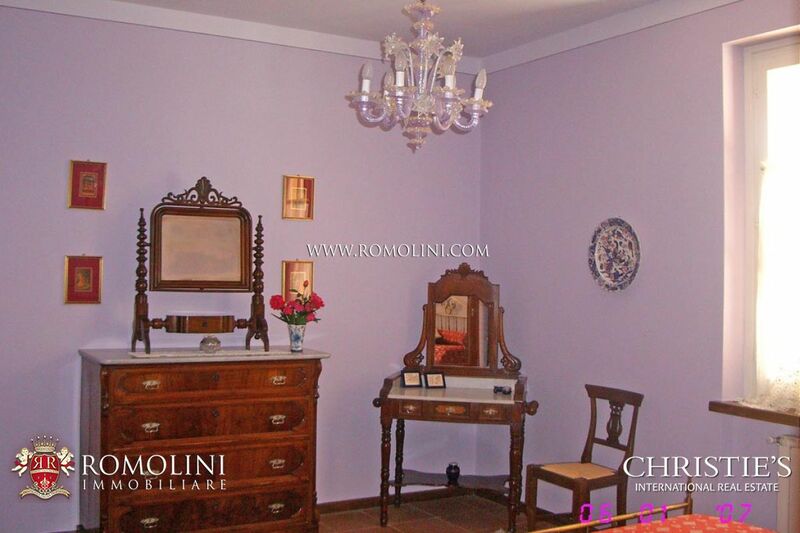 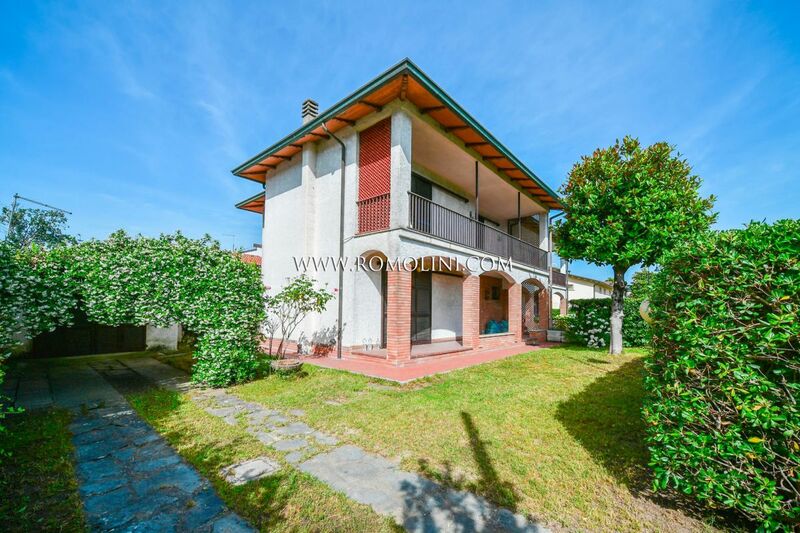 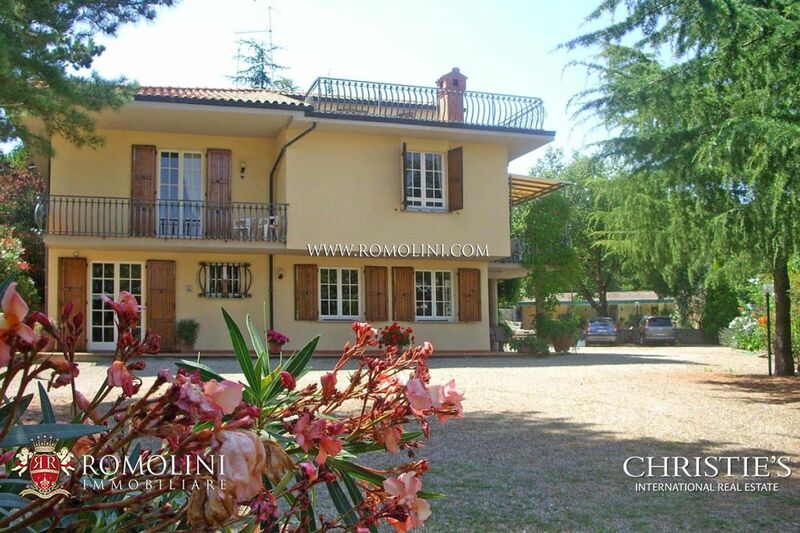 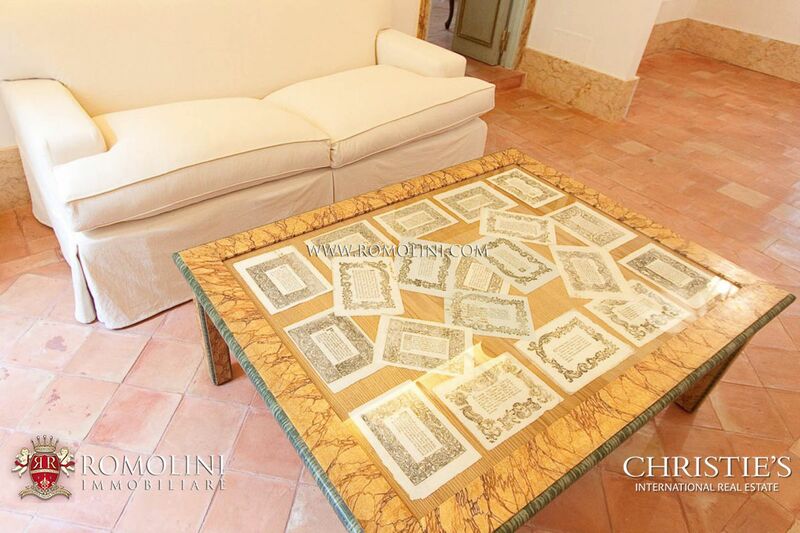 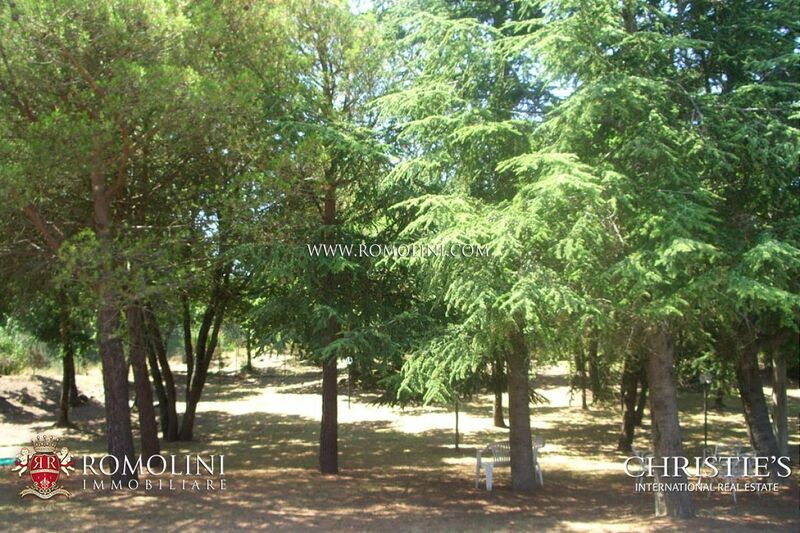 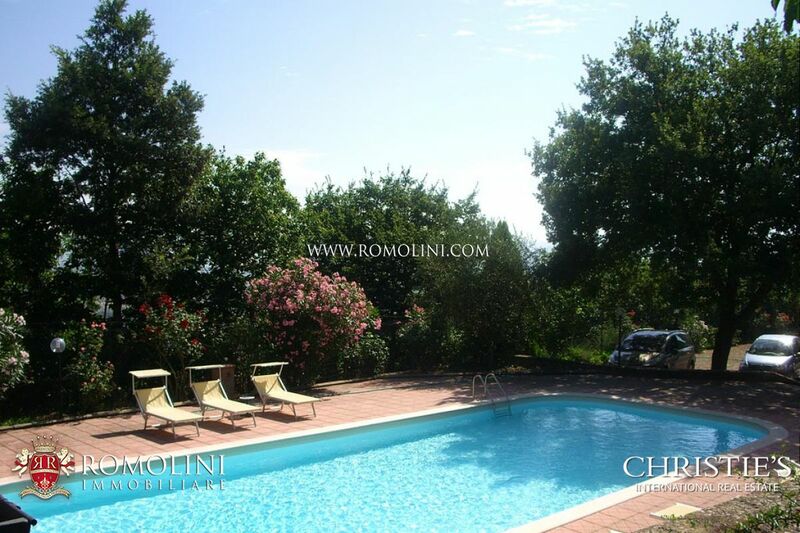 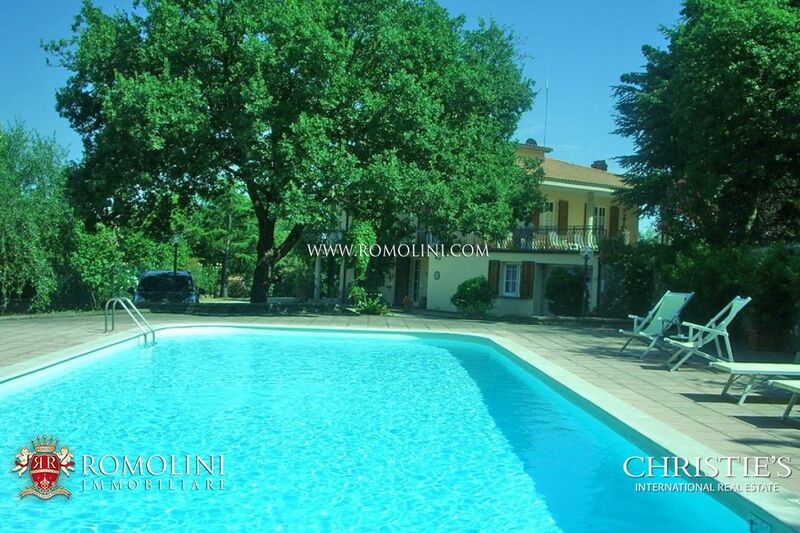 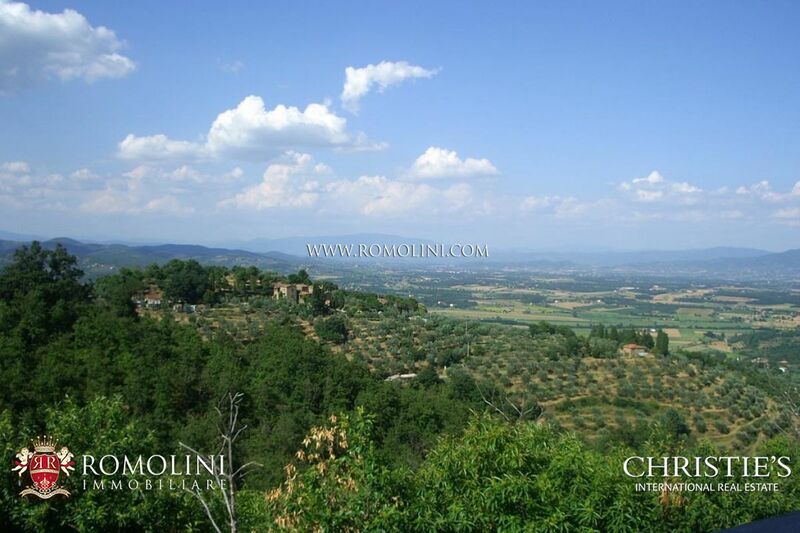 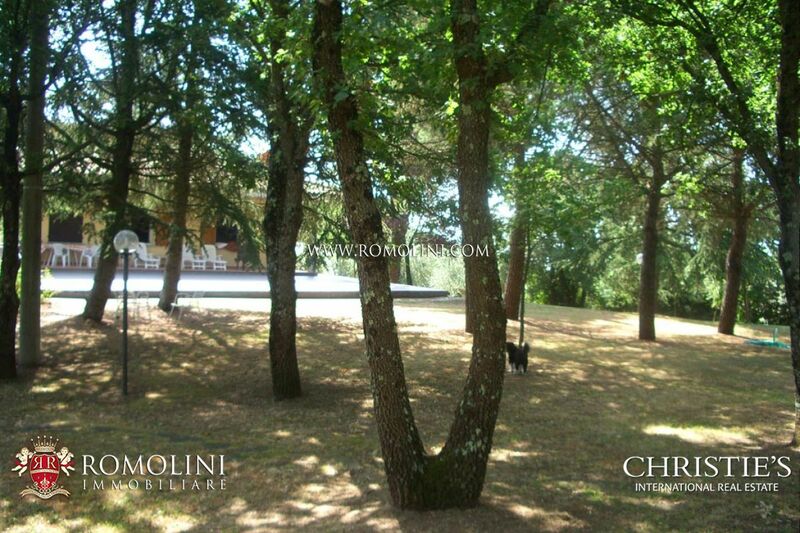 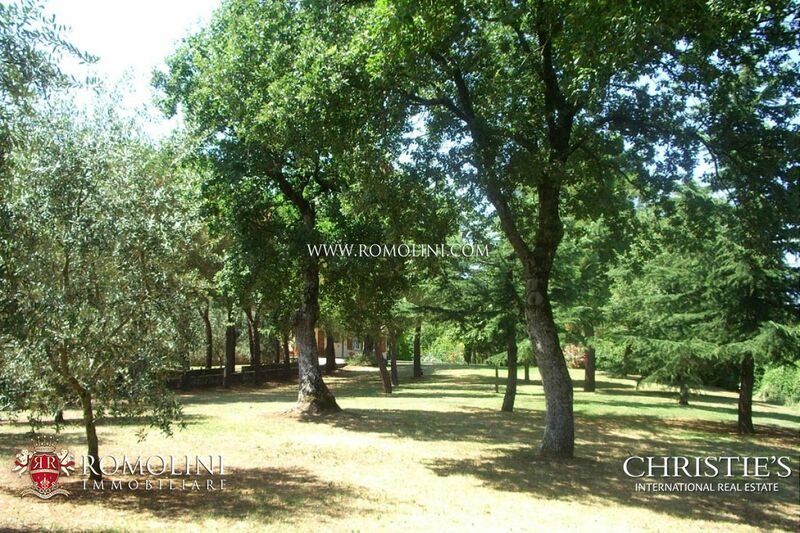 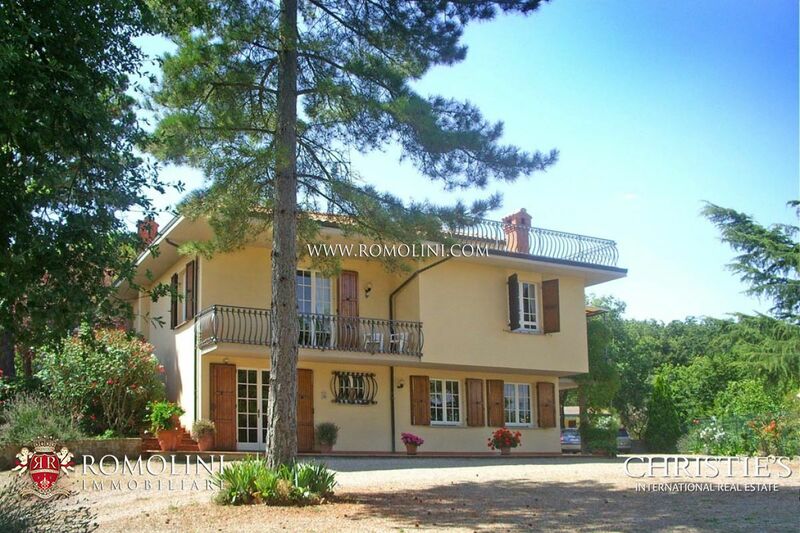 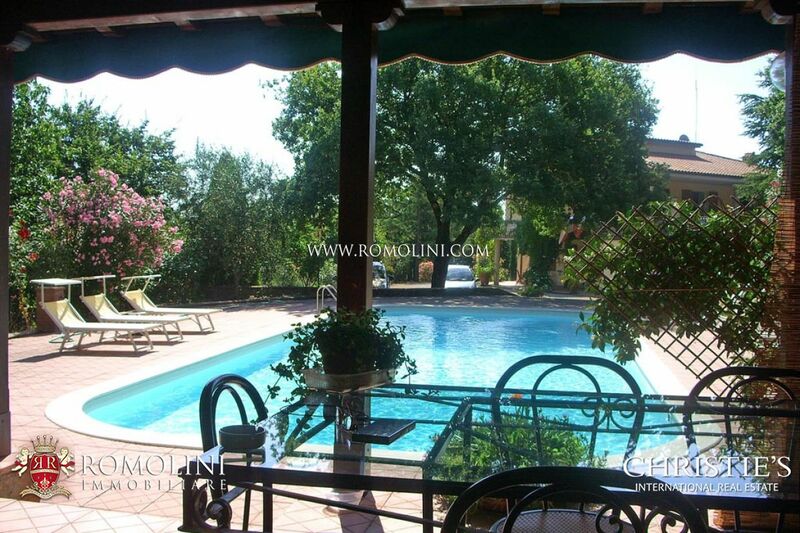 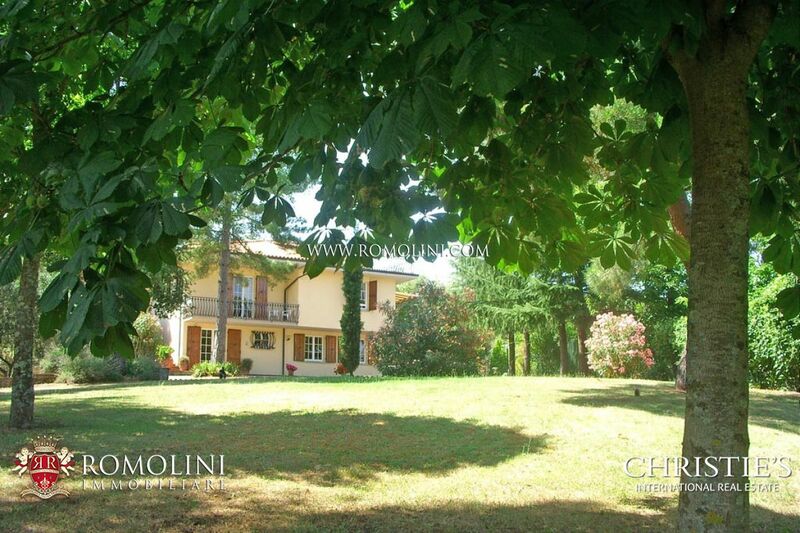 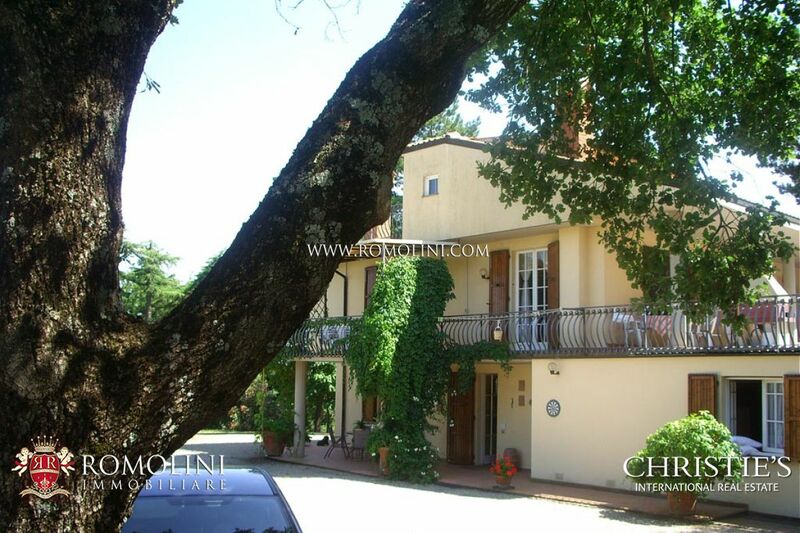 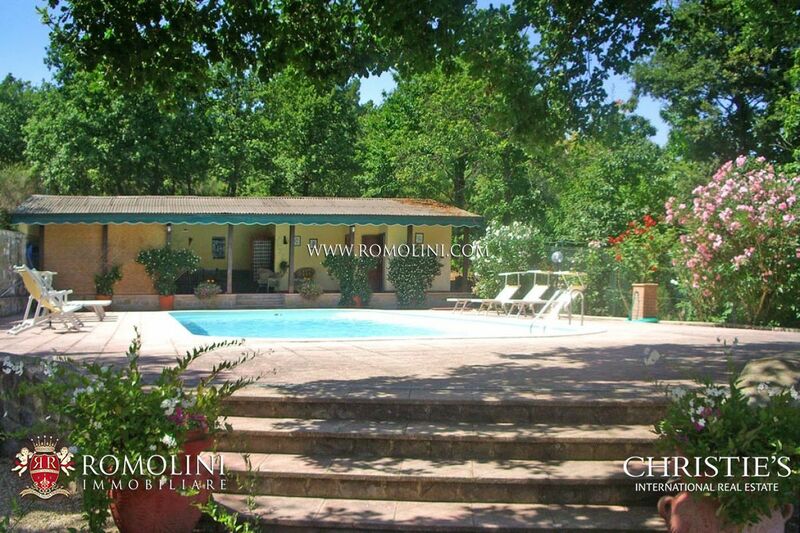 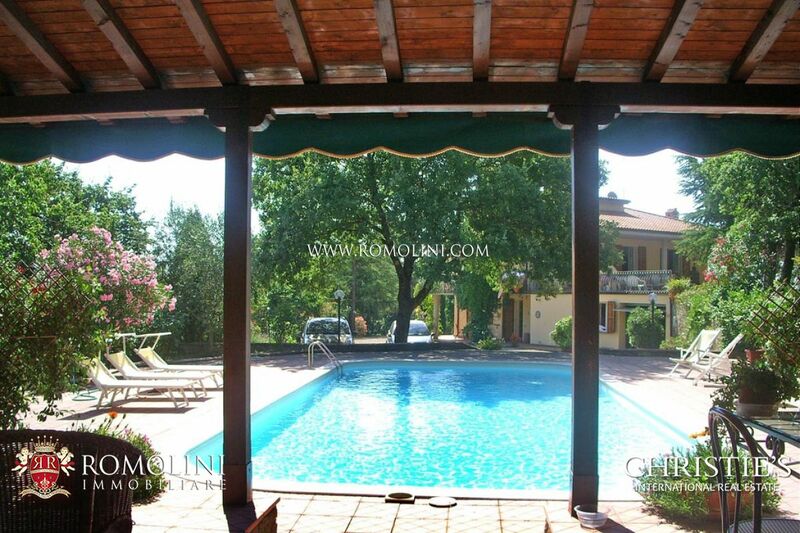 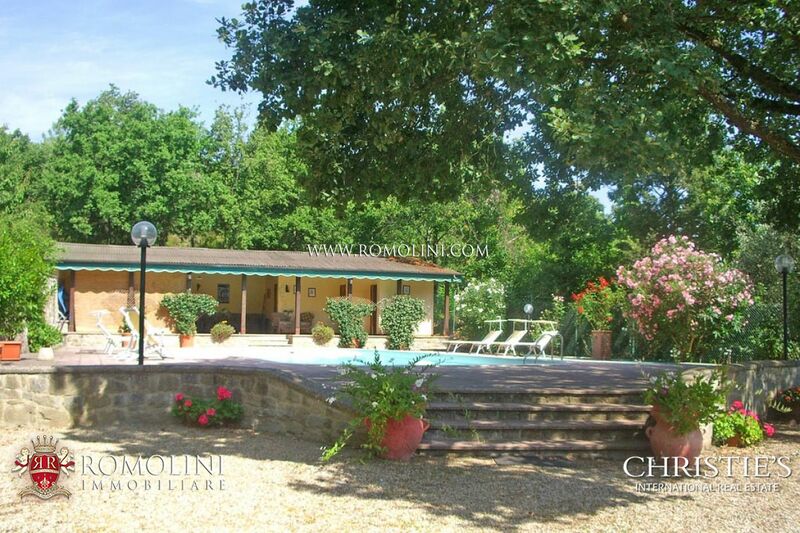 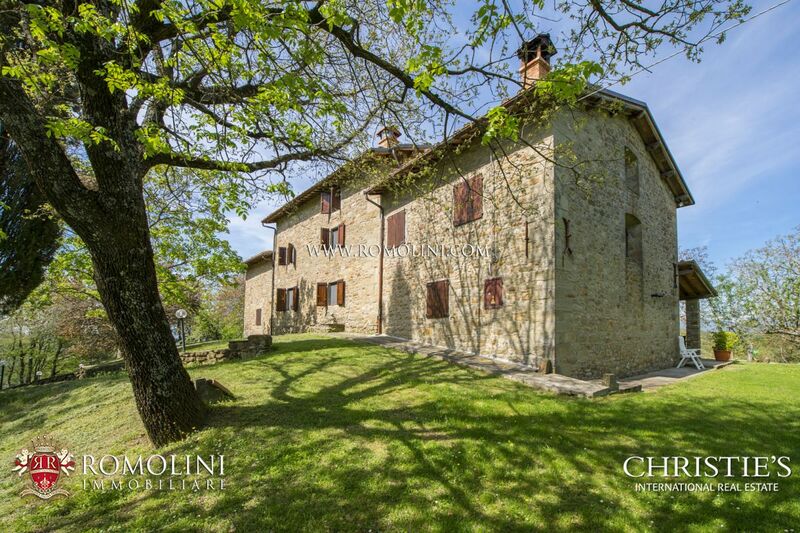 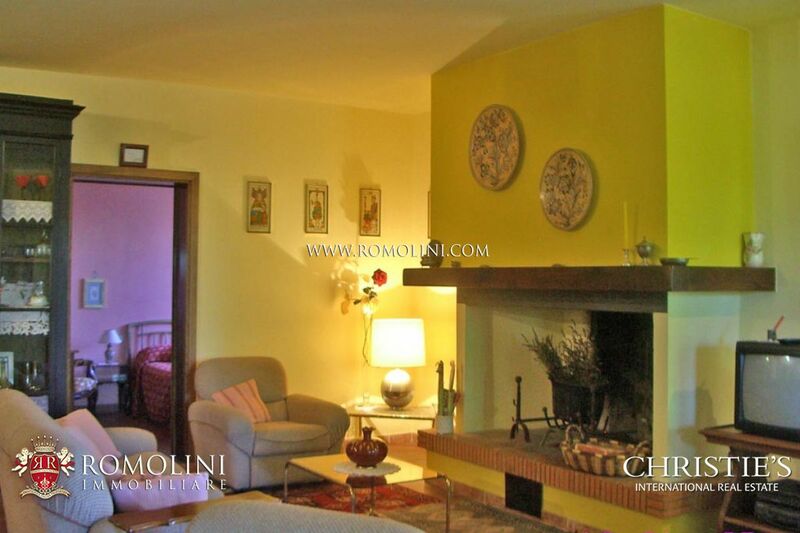 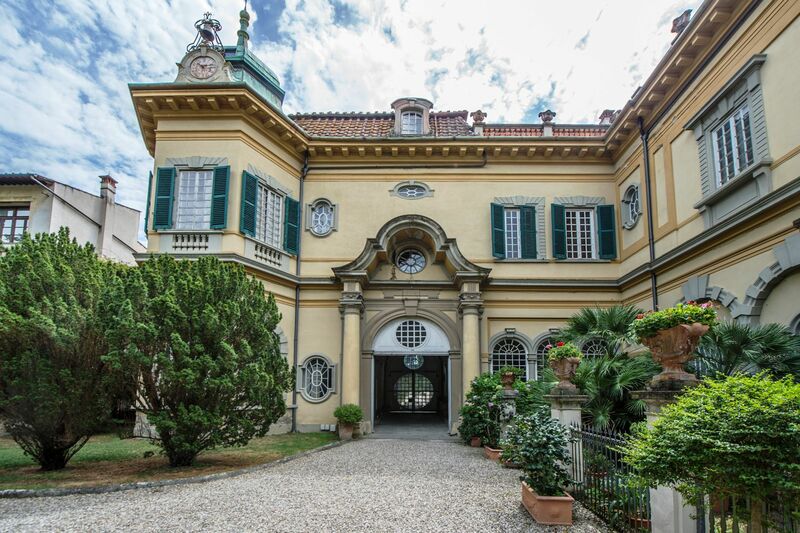 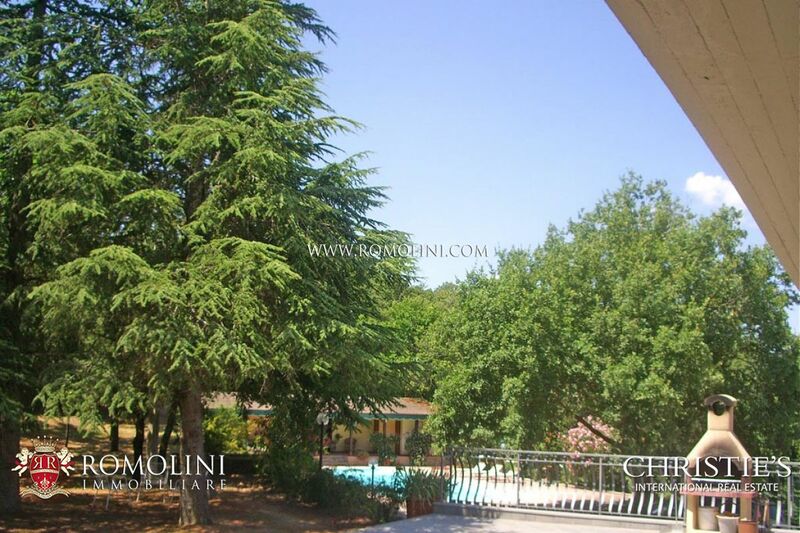 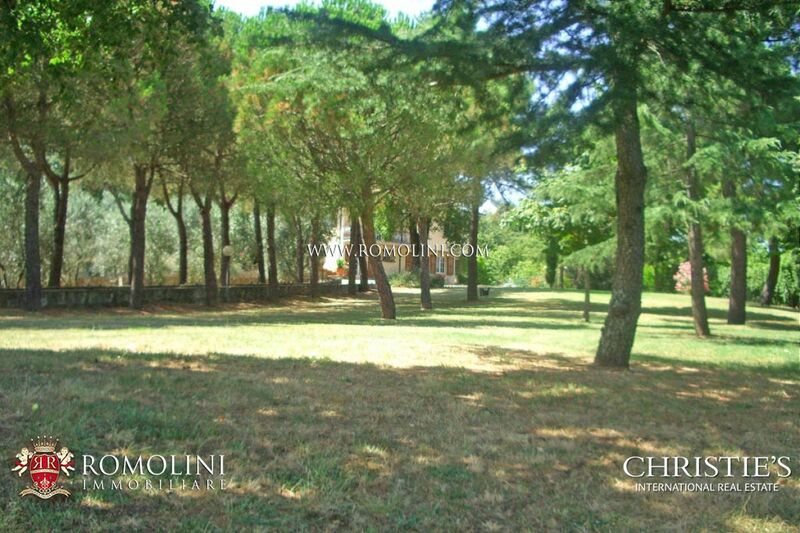 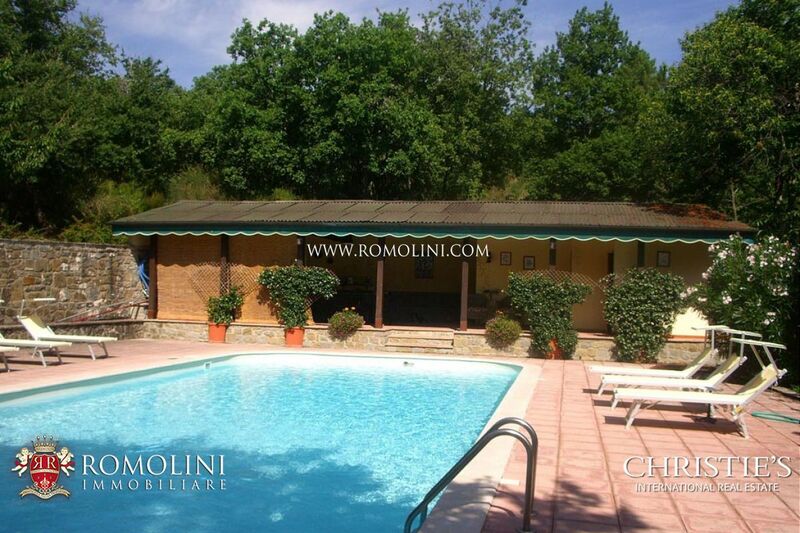 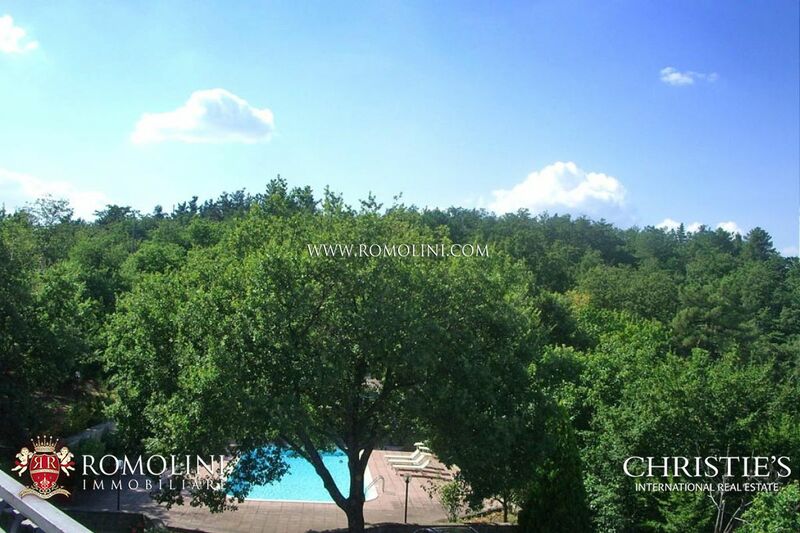 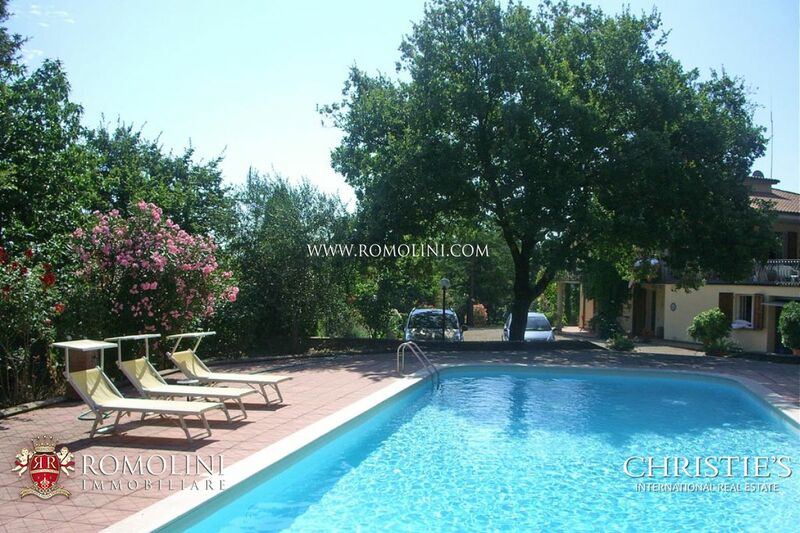 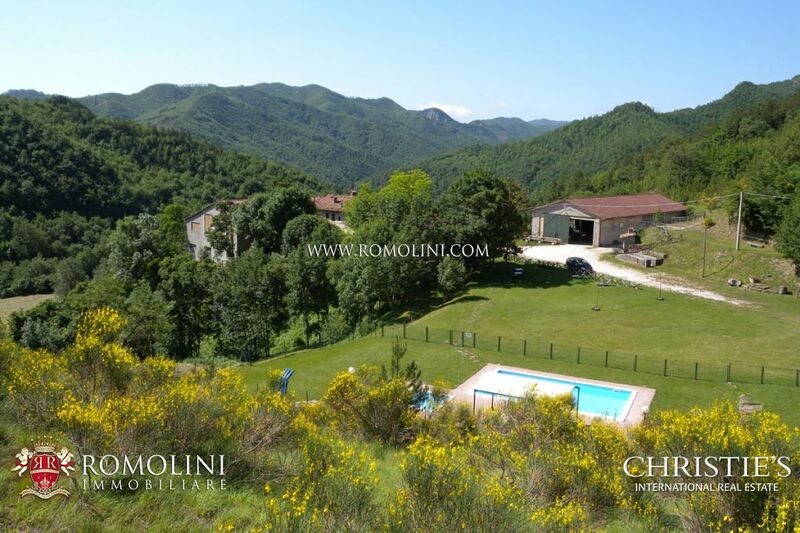 Situated along the old road that connects Arezzo to Siena, but completely immersed in the silence of the thick vegetation (forest-trees), the property is easily accessible from the "Autostrada A1"-exit Monte San Savino, which is located 8 km away. 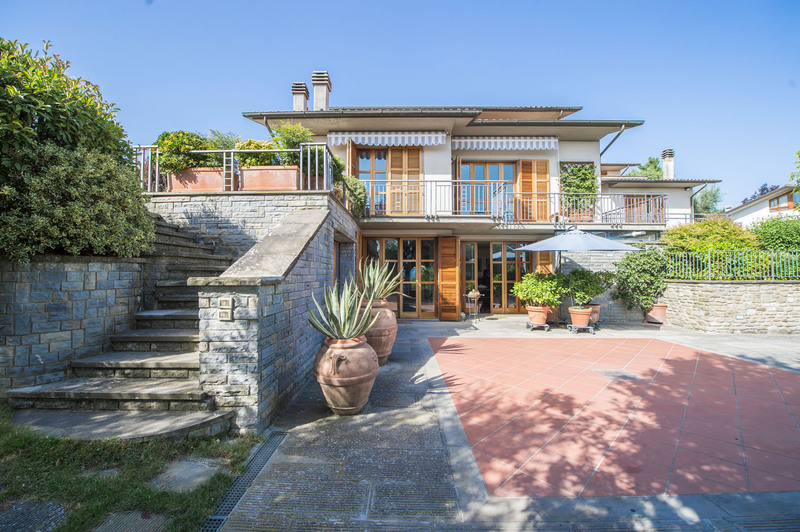 The main villa is on three levels, two of which access the garden directly. 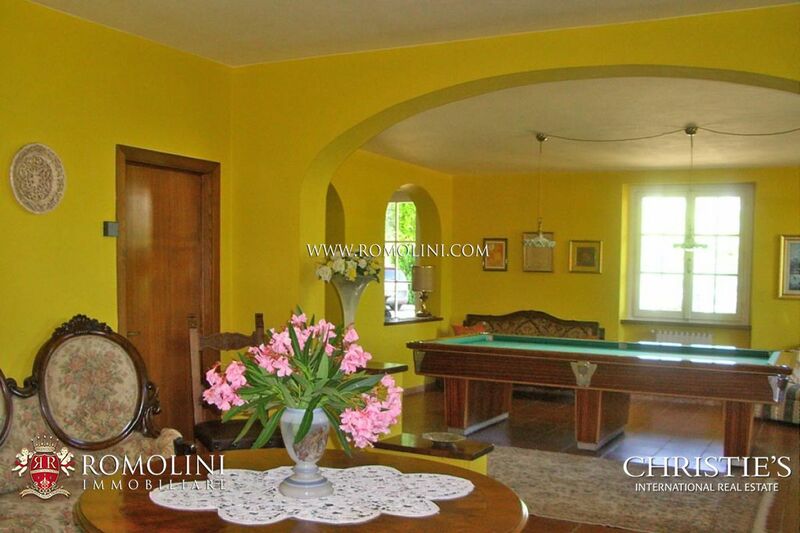 Ground floor: entrance hall, living room with fireplace, dining room with porch, bar, bedroom, bathroom and technical room. 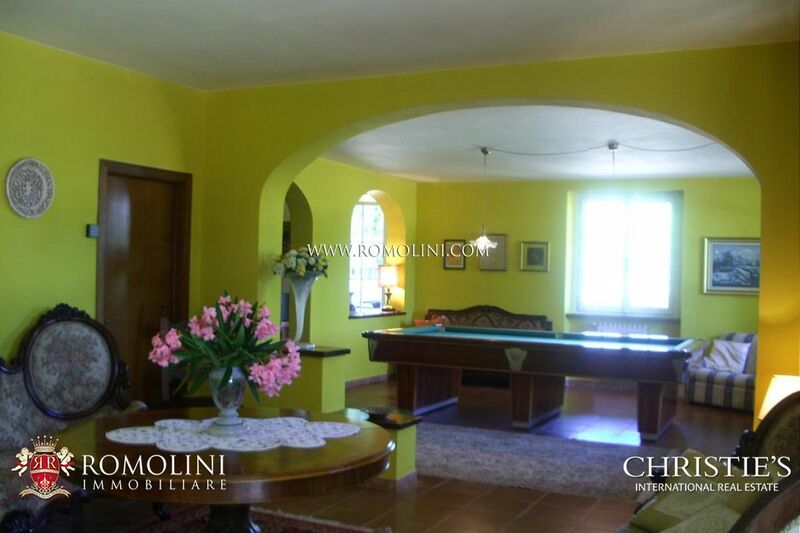 First floor: large living room, kitchen with dining room and covered terrace equipped with outdoor meals, two bedrooms and bathroom. 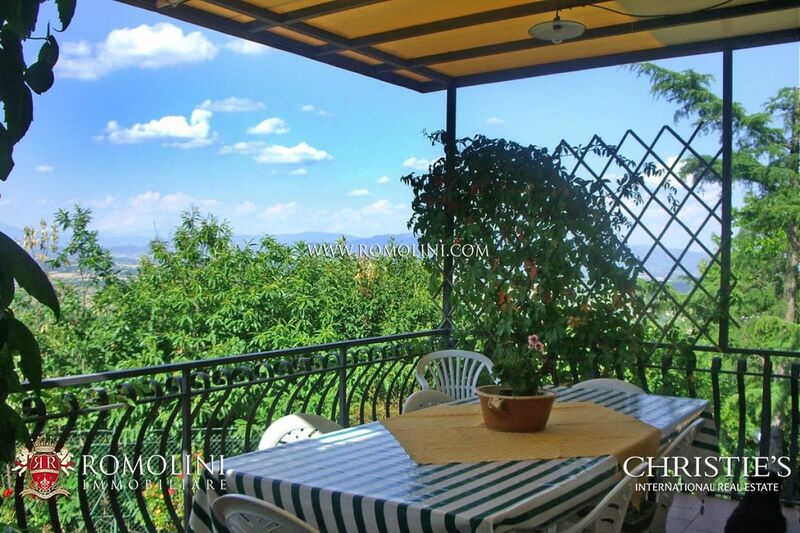 This floor can be accessed from the garden through an external staircase. 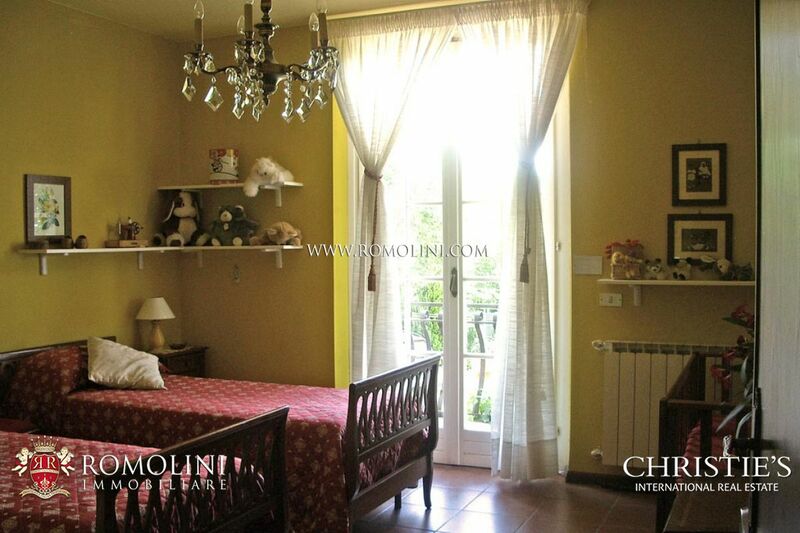 Second floor: bedroom with en suite bathroom. 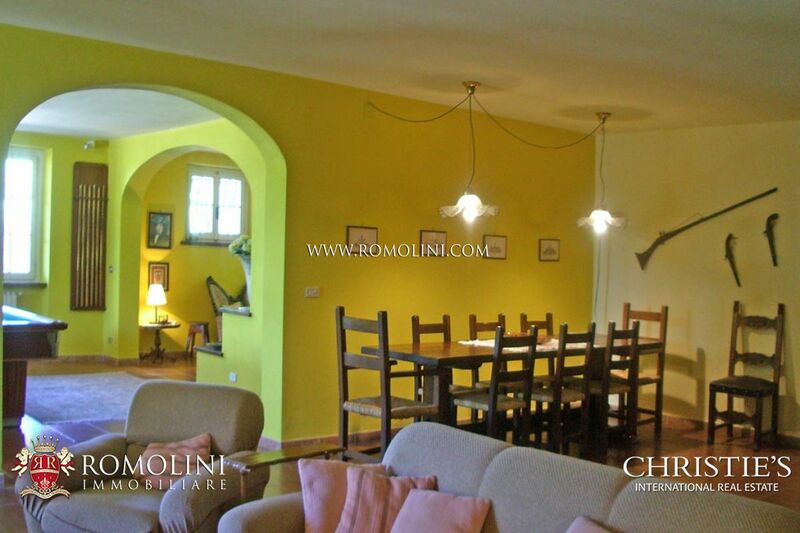 The dependance of 120 sqmts includes a kitchen with dining room and two bathrooms. 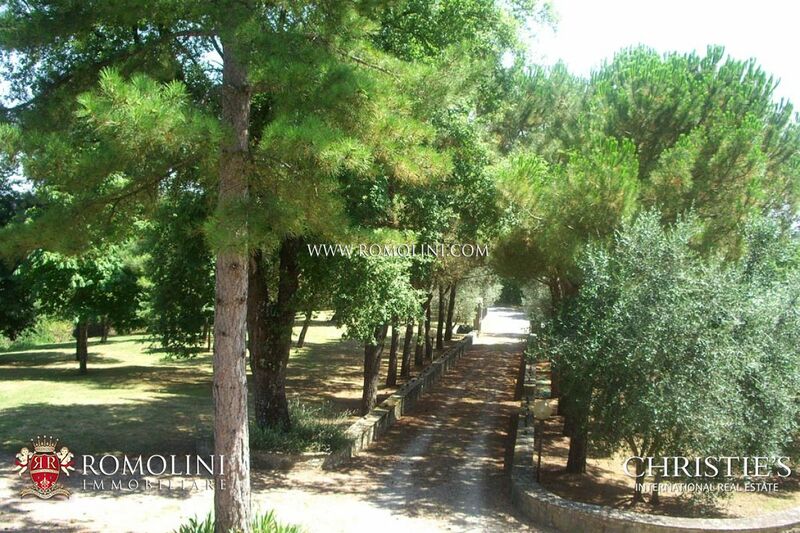 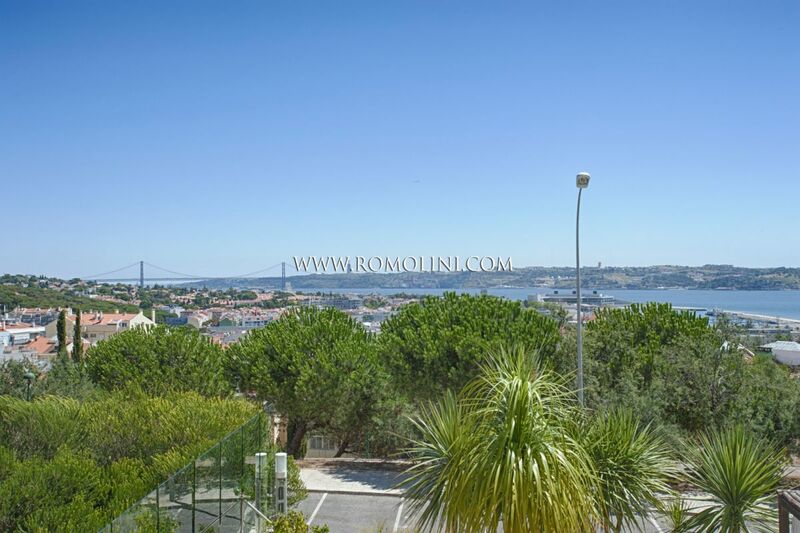 The property is completed by a pool of 84 square meters and 28000 square meters of land with 10000 square metres of park with 36 olive trees. 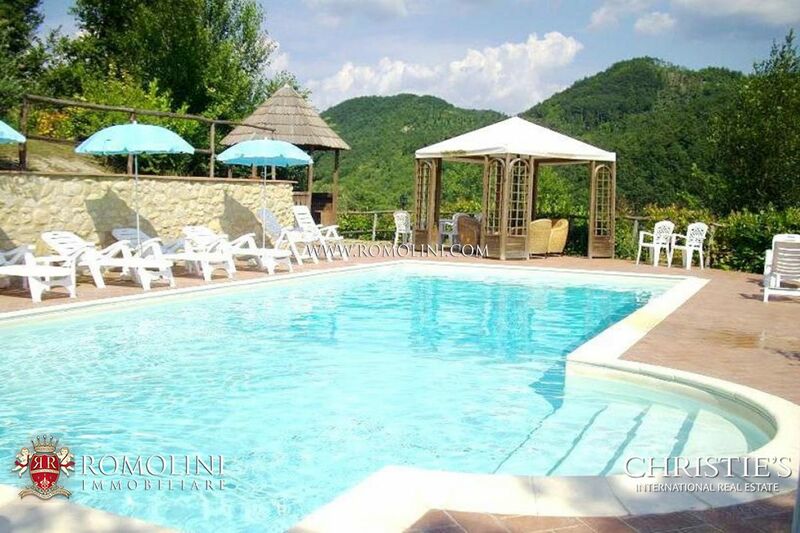 Monte San Savino (5km; 16’); Arezzo (30km; 32’); Siena (40km; 44’); Cortona (45km; 50’); Montepulciano (40km; 49’); Tuoro sul Trasimeno (50km; 49’); Passignano sul Trasimeno (51km; 50’); Montalcino (59km; 1 h 18’); Perugia (80km; 1h 10’); San Gimignano (80km; 1h 21’); Firenze (87km; 1h 3’); Assisi (102km; 1h 31’); Spello (108km; 1h 28’); Todi (120km; 1 h 36’); Gubbio (126km; 1h 51’). 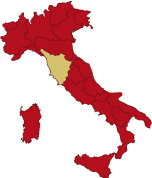 Perugia Sant’Egidio (89km; 1h 16’); Firenze Peretola (99km; 1h 7’); Pisa Galilei (192km; 1h 55’); Bologna Marconi (192km; 2h 5’); Roma Ciampino (216km; 2h 7’); Roma Fiumicino (244km; 2h 32’).